Preeminent Florida Construction Lawyers, Attorneys, Ferencik Libanoff Brandt Bustamante & Goldstein, P.A. Congratulations to Partner, Ira L. Libanoff on his recent appointment as Magistrate in the Broward County Circuit Court’s new Professionalism and Civility Magistrate Program. 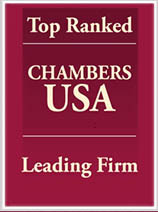 We are proud to note that Partners, Robert Ferencik, Ira Libanoff, and Peter Brandt have been ranked in the Chambers USA in the field of Construction Law for the State of Florida. This important distinction reflects the hard work, experience, knowledge, and long history of excellence of these attorneys. We take great pride that our firm continues to maintain an AV Preeminent Rating by Martindale-Hubbell, which is the highest possible rating for both ethical standards and legal ability. 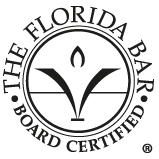 Robert Ferencik, Ira Libanoff, Peter Brandt, Jordana Goldstein, Nestor Bustamante, and Laura Baker have achieved the prestigious designation of Board Certified Construction Law Specialist by The Florida Bar. Board Certification recognizes attorneys' special knowledge, skills, and proficiency in a specific area of the law as well as professionalism and ethics in practice. 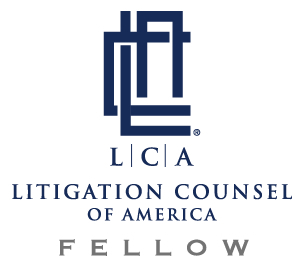 Our attorneys have once again been recognized by The Best Lawyers of America for Construction Law and Commercial Litigation. Best Lawyers is universally regarded as the definitive guide to legal excellence. We are proud to announce that Peter Brandt received the Lifetime Achievement Award from The Construction Law Committee of The Florida Bar. Our hearty congratulations to Peter for his outstanding achievement! We are honored to work beside such a well-regarded attorney in the legal community. Congratulations to our partners for being recognized by the Best Lawyers Publication, Peter Brandt for being named Lawyer of the Year in the category of Construction Law Broward County and Bob Ferencik for being named Lawyer of the Year in the category of Construction Litigation Broward County. Ferencik Libanoff Brandt Bustamante & Goldstein, P.A. has been privileged to provide legal services exclusively to the construction industry for over 25 years. Our firm’s founding members have more than 100 years of collective construction law experience. The majority of our attorneys are board certified in construction law by the Florida Bar. Our firm is home to a strong team of highly effective and solution-oriented construction lawyers, who are deeply committed to the representation of members of the local and state-wide construction community. We have built an unparalleled reputation for successfully handling cases involving construction litigation, dispute resolution, commercial transactions, and all other matters where the expertise of a construction professional is required.